High in the hills of Newport Coast is the luxury home community of Ocean Heights. The community has 3 developments, which include Perazul, Cassis, and Strada. 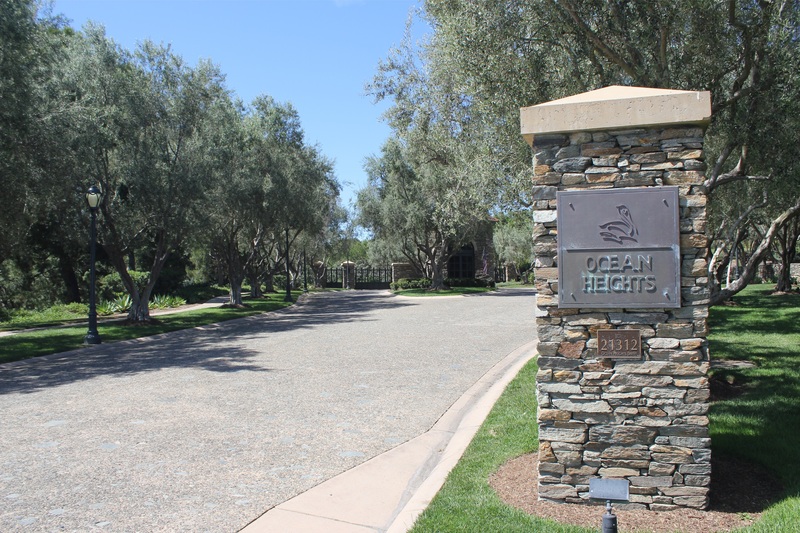 Ocean Heights is highly secured with a 24-hour guarded gate entrance. Inside the enterance, you will find various architectural styles that range from Tuscan to Mediterranean as well as Spanish and Santa Barbara architectural designs that dominate this area. Homes are located such that you can have a panoramic view of the Pacific Ocean, Newport Bay, as well as Catalina Island and of course the evening sunset. The Homeowners Association amenities include swimming pools, clubhouse, spa as well as tennis courts, and sports courts and so on. Newport Mesa Unified School District, which serves this area, is an outstanding award winning school district. Students attend the Corona del Mar Intermediate and High School, as well as the Newport Coast Elementary, and other fine local Private Schools. Perazul homes in Ocean Heights includes 98 homes built by Taylor Woodrow Homes, Inc. Perazul is a highly desirable community, due in part to its combination of the exclusivity, size, privacy and fabulous views. Perazul homes were built in 1999 and feature three to five bedroom floor plans that range in size from 3,843 to 7,000 square feet of living space. The builder built classic Mediterranean, Tuscan and Spanish style architectural homes that can offer great ocean views and stunning sunset views. Homeowners enjoy private recreational facility which includes Jr. Olympic salt-water pool, tennis club & staffed clubhouse. Homes in this neighborhood range in price from 3.7 to five million. Homeowners’ association dues are approximately $550 dollars per month. Students attend the award winning Newport Mesa Unified Schools, Newport Coast Elementary and Corona del Mar Intermediate and High School. Strada homes are also located in Ocean Heights. They were built in the year 2000. There are a variety of three to four bedroom floor plans that range in size from 3,417 to 4,400 square feet of living space. The neighborhood features large Mediterranean and Tuscan style architectural homes.